Forex Club (Libertex) has multiple brands and entities. Its products, pricing, and range of markets vary across its account offerings, including via MT4 and on its proprietary Libertex platform, making its offering fragmented and vastly different across regions. Please Note: Forex Club (Libertex) was not included in the 2019 annual review. As a result, this broker's ratings may be outdated. Read our Best Forex Brokers 2019 guide for a look at the top rated forex and CFDs brokers. Founded in 1997, the Forex Club brand was one of the first few retail forex brokers to emerge in the online brokerage industry. Today, it is known under the Forex Group of Companies (Forex Club Group), which consists of multiple entities including several that use the FX Club, Forex Club, and Libertex brand names. Through these brands, the Forex Club Group offers forex and CFD traders access to 44 currency pairs and 128 CFDs via its proprietary Libertex platform and the popular MetaTrader4 (MT4) platform developed by MetaQuotes Software Corporation. 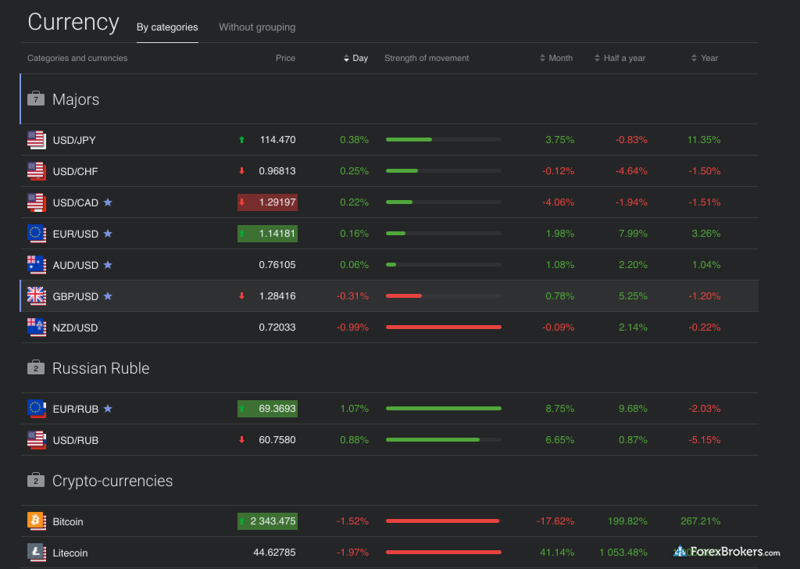 The firm also offers the Rumus platform at select locations, providing fixed spreads on forex, in addition to variable spreads on other platforms. Entities under the group include Forex Club International Limited, located in St. Vincent and the Grenadines, Indication Investments Ltd (regulated in Cyprus), Forex Club LLC (was regulated in Russia up until January 2019 when the CBR banned numerous forex brokers from Russia), and FC Forex Club BY (regulated in Belarus). The group also has education and IT centers in Eastern Europe and Asia. Trading with a forex broker traders can trust is crucial to success. Unfortunately, forex fraud and scams are common in the industry. Here at ForexBrokers.com, we maintain the largest independent regulatory database available on the web. Using 28 different variables, we have created a proprietary 1-100 score (the higher the better) of overall trustworthiness, which we call the Trust Score. Here is our trust summary of Forex Club (Libertex) . The following table summarizes the different investment products available to Forex Club (Libertex) clients. The trading costs at Forex Club (Libertex) depend on the platform chosen, and range from fixed spreads on the Rumus platform to variable spreads on MT4. In its St. Vincent and Grenadines entity, Forex Club (Libertex) offers MT4 Instant, which is commission free, and MT4 Market, which has lower spreads but includes a per trade commission. Rather than show the bid/ask spreads – which is the industry standard – FX Club shows a midpoint rate and then an accompanying commission percentage in its Libertex platform. While the commission is transparent, the bid/ask spreads on Libertex are not. Meanwhile, on MT4, the broker shows the usual bid/ask spread, although average spread data were not available at the time of our review. The broker also offers various account tiers – Silver, Gold, Platinum, Diamond, and Exclusive – which depend on the amount deposited. The higher the tier, the more perks clients receive, such as premium research tools and access to the trading desk (see the Fees & Features section for more details). For our 2018 Forex Review, 129 customer service phone tests were conducted over three months. The data collected is institutional grade. On average, three questions were asked for each test. To score each test, the tests were divided into three separate groups and scores were given for the time taken to connect with each support representative and the ability of each representative to professionally (and thoroughly) answer each question. A Net Promoter Score was also given for the overall experience. Forex Club (Libertex) provides daily blog updates from its team of in-house analysts covering technical and fundamental market news and various research content from third-party companies. Headlines stream from FXWire Pro, and video content is provided by TradingCentral, which also powers headlines in the Libertex platform. Dow Jones News is available on MT4, and clients who deposit at least $5,000 get access to a sentiment indicator tool. For clients working with the firm’s entity in St. Vincent and the Grenadines, FXClub offers tailored expert advisors (EAs) for MetaTrader4, including model portfolios that connect with the MT4 signals market. The broker also offers AutoChartist – a popular solution for automated technical analysis and analyzing trading opportunities. Further analysis tools as well as trading signals are provided by Trading Central. While FX Club provides a good range of research resources, many of these are not centralized and are not visible on the firm’s Libertex offering, which is for English-speaking clients. Since much of the daily blog and market commentary is posted in Russian, we would like to see an English version made available to help balance the offering. 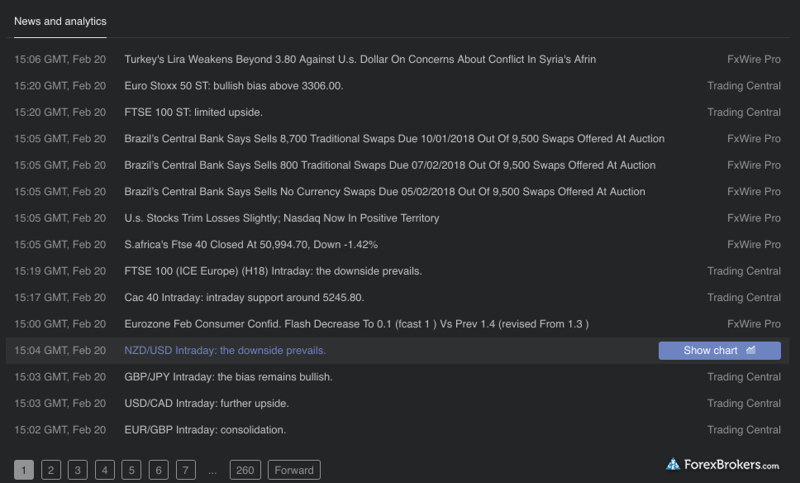 That said, FX Club provides news headlines from FXWirePro and content from Trading Central, which helps balance its research offering in terms of supported languages. The available platforms – and range of trading instruments – depend on the related Forex Club Group entity, whether it is FX Club, Forex Club, or Libertex. For example, the popular MetaTrader4 platform was discontinued at the firm’s CySEC-regulated brand in October 2016, yet continues to be offered at its other entities. To learn more about MT4, read our MetaTrader Guide. Forex Club also offers the Rumus platform, which features fixed-spreads pricing compared to variable spreads on its other platforms. For this review, I focused on the firm’s most widely offered platform, Libertex. Starting with the web version, my first impression was that it has a smooth interface built on HTML 5, which is becoming the industry standard to help support best practices for browser compatibility. 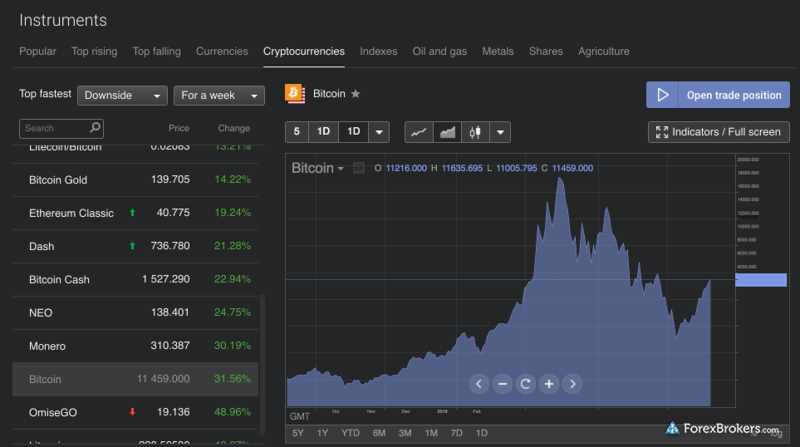 The main difference between our 2017 review and this year’s 2018 review is the arrival of a cryptocurrency section within the Libertex platform, as the company expanded its offering to nine cryptocurrency CFD pairs. Charting on the platform appears very light at first, with only nine time frames available, and six chart types, yet once expanded into full-screen mode (or clicking the technical analysis button) 73 drawing tools and 43 technical indicators become accessible, which was a nice surprise. One miscellaneous bug worth mentioning is that in the charting tool, when compressing the price data on the right side of the chart (vertical Y axis), the candle price becomes offset and the level of the candle does not match the level of the price shown on the same horizontal X axis. 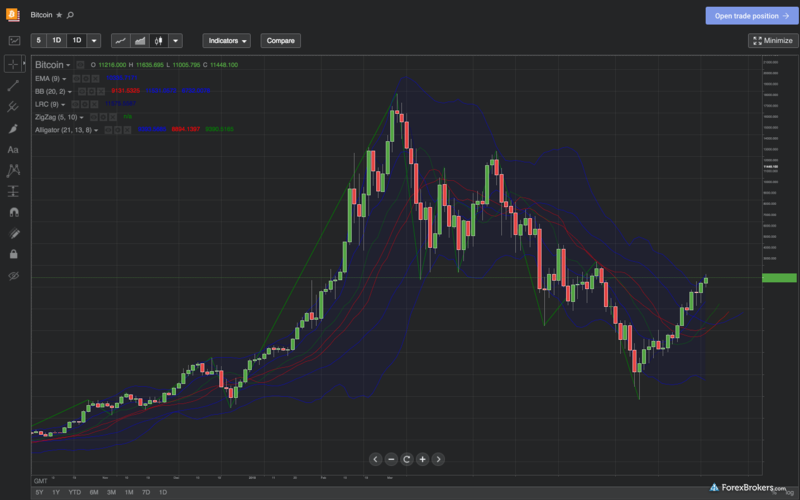 Otherwise, charts on Libertex provide a smooth experience. Charting aside, another pleasing feature on the platform is the rising and falling column, which acts as a pre-defined screener that sifts from among the 172 instruments available to show top gainers and losers. Sentiment is also shown alongside each instrument. Sentiment is also shown alongside each instrument. 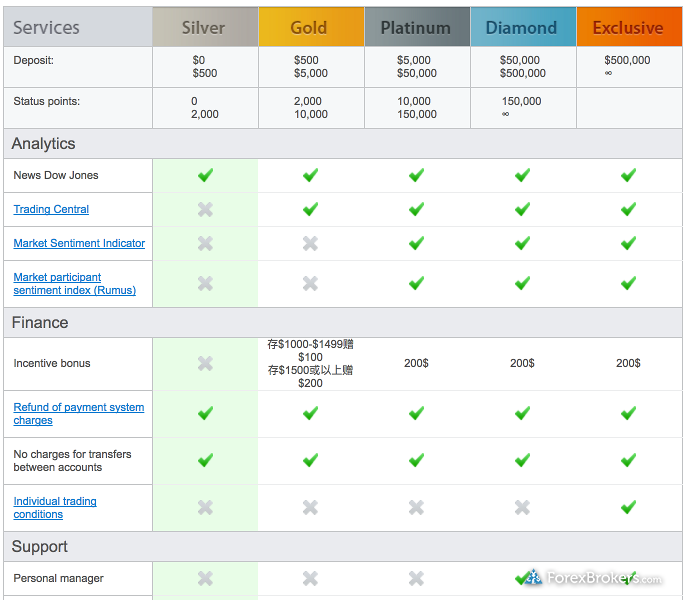 The additional columns make it easy to switch between instrument categories. Beyond these features, the Libertex platform is light in its platform offering and does not provide many additional tools or features. Considering its positive foundation as a platform built using HTML 5, we would like to see the company expand the platform’s tool set. Depending on the Forex Club Group entity, the available mobile apps range from the company’s proprietary Libertex app and MT4 mobile app, both of which come available for iOS and Android devices. To learn more about MT4 mobile, read our MetaTrader Guide. The broker also offers its StartFX mobile app to existing clients but has discontinued it for new customers. For this review, I focused on the Libertex mobile app for Android. Initial impressions upon logging in to the app were that it has a smooth and responsive interface, just like its Libertex web counterpart. Creating an order and managing open positions is smooth, and stop-loss and limit levels can be added either as a dollar amount or in pips. The watch list was also in sync, and while the charts didn’t offer any technical indicators or drawing tools, they were easy to pinch and zoom; in addition, a sentiment bar can be swiped in just above the buy/sell button and remains visible while viewing a chart. Overall, the app has a good foundation and even features news headlines from FxWire Pro and videos and trading signals from Trading Central, as well as educational videos and live chat. Adding an economic calendar and additional research tools would be useful and would help Libertex mobile compete with more established mobile apps. 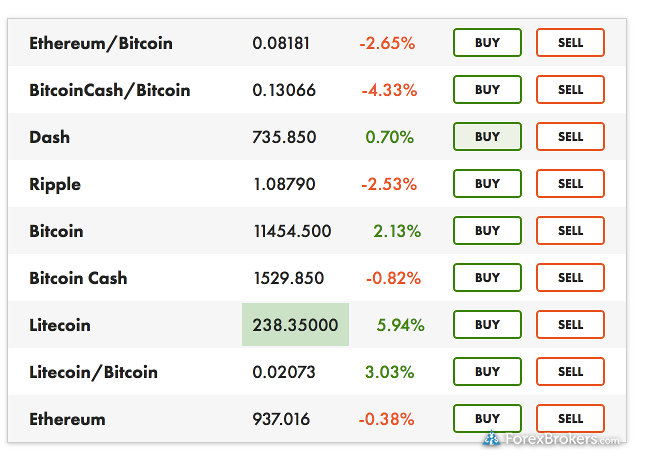 Forex Club expanded its range of cryptocurrency CFDs to nine pairs after adding Dash, Ripple, Litecoin, bringing several more crypto cross pairs that permit crypto-to-crypto trading exposure ETH/BTC, BCC/BTC, LTC/BTC. The nine crypto pairs are derived from five underlying cryptocurrencies. Since some of the Forex Club Group brands are used interchangeably across entities, it’s useful for traders to distinguish the entities by their respective websites. For example, Libertex.org is the firm’s St. Vincent and Grenadines entity, Libertex.com is the firm’s CySEC entity, Libertex, FC Forex Club BY is the firm’s Belarusian entity, and Forexclub-russia.ru is its entity in Russia (as well as Fxclub.org). It’s also worth noting that on the Libertex platform, rather than refer to trade sizes in units and lots, users choose a dollar amount, then a multiplier, which determines the trade size volume (i.e., $1,000 with a multiplier of 100 = $10,000 in volume or the equivalent of 1 standard lot), similar to spread betting platforms. In the Russian entity, only currency pairs are offered, whereas in the Cyprus and Belarusian entity no cryptocurrencies such as Bitcoin and Litecoin (which are only offered from St. Vincent and the Grenadines entity) are available. The broker also offers interest on deposits to clients who deposit between $5,000 and $25,000 or more, but this is structured more like a bonus, as interest earned is moved into a bonus account. After 20 years in operation, traders choose Forex Club and its brands and related entities in the Forex Club Group of companies because of the firm’s history and regulatory licenses in multiple jurisdictions. The firm was even regulated in the US with the NFA but exited the US market as the industry consolidated. With 172 instruments available, including an expanding range of cryptocurrency CFDs, Forex Club (Libertex) can meet forex traders’ needs through its various offerings. That said, we’d like to see the firm continue to shift its focus onto its Libertex platform, and we expect this product to continue to evolve in the right direction. Meanwhile, clients might not always be sure which entity they are dealing with as some of the related brand names are used interchangeably across entities, and this should be clarified to avoid any confusion. Lastly, the scope and range of educational resources is very light, marking another area that Forex Club should bolster to help balance its offering. For our 2018 Forex Broker Review we assessed, rated, and ranked 43 international forex brokers. Each FX broker was graded on 140 variables. Learn more. Reviewed by Steven Hatzakis Steven Hatzakis is the Global Director of Research for ForexBrokers.com. 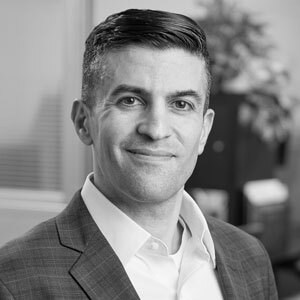 Steven previously served as an Editor for Finance Magnates, where he authored over 1,000 published articles about the online finance industry. Steven is an active fintech and crypto industry researcher and advises blockchain companies at the board level. Over the past 20 years, Steven has held numerous positions within the international forex markets, from writing to consulting to serving as a registered commodity futures representative. Select one or more of these brokers to compare against Forex Club (Libertex). *Forex Club did not participate in the 2017 Online Broker Review, as a result the following data may not be up to date. Find out how Forex Club (Libertex) stacks up against other brokers.